Canon reaches a new milestones, as one of experience in digital imaging company celebrates its 80th founding anniversary this year. Ready your gears, as Canon Philippines brings back the highly anticipated photo competition this year, the Canon PhotoMarathon 2017. 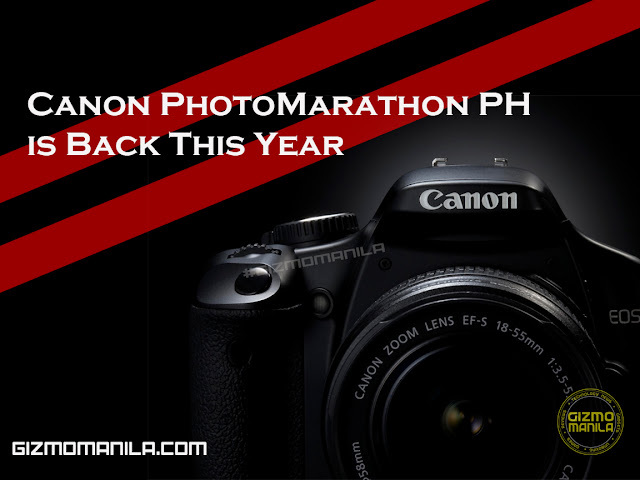 In 2012 Canon PhotoMarathon sets a record with over 2,300 participants, Canon PH targets to break and set a new record with over 2,500 particpant's this year. The Canon PhotoMarathon is set to happen on October 21, 2017, challenging the participants to create their photographic masterpiece. The competition is become more bigger and better as its extend the category from Point-and-shoot, mirrorsless and up to EOS line. Participants can join by registering their Canon cameras through the Canon Imagenation Philippines website or via Canon Red App. Note: We will update this article once we know and clarify the details from Canon PH.